AE2017 Summary Report now online! The AE2017 Summary Report is now available here. You'll also see links on that page to the programme, posters, participants list and poster awards. AE 2017 was a great success, attracting a total participation of 1.688 from 62 countries. Of the full conference delegates (1294), 255 were students. The trade show presented products and services from 92 exhibitors and had 394 visitors. A total of 437 oral and 356 poster presentations were given during the conference. 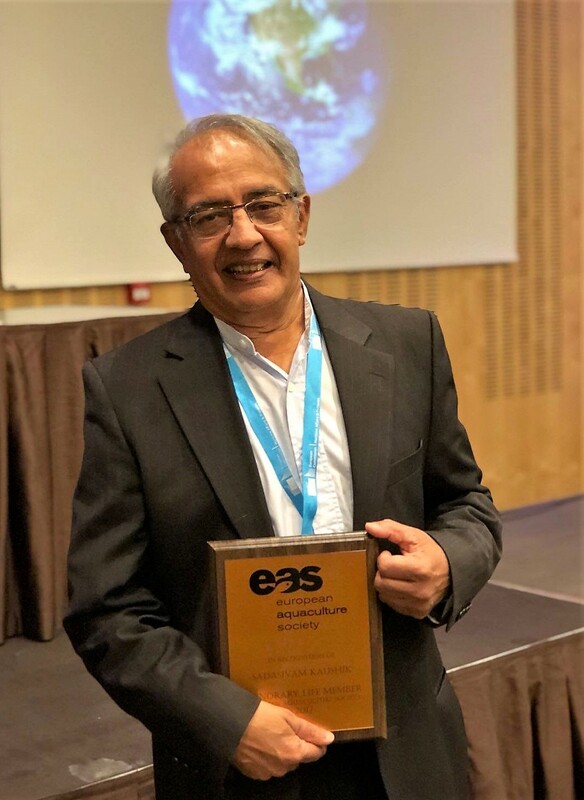 At the opening plenary session of the Aquaculture Europe 2017 event - organised by the European Aquaculture Society in Dubrovnik, Croatia - Sadisivam (Sachi) Kaushik, founder and director of the Fish Nutrition Joint research units of the Hydrobiology Station at St Pee sur Nivelle, was presented with an Honorary Life Membership of EAS. Honorary Life Membership of EAS is an award given to those persons that have had a marked impact on the development of European aquaculture. Since 1981, EAS has bestowed this award on only 12 persons, including such names as Eric Edwards, Peter Hjul, Colin Nash, Courtney Hough, Pascal Divanach, Patrick Sorgeloos and Michael New. The award was presented by the EAS 2016-2018 President Bjorn Myrseth, who introduced the awardee as a very well-known name in aquaculture – not only in Europe – but throughout the world. His name is synonymous with the word ‘nutrition’ – and it was therefore fitting that the award was made just after a very thought-provoking plenary presentation on the evolution of the human brain and the pivotal role of marine DHA and trace elements, entitled “Is substitution compromising our omega 3 (DHA) position?” by Professor Michael A Crawford of Imperial College, London. Bjorn Myrseth described how, over a period of 30 years, Sachi Kaushik founded and directed the Fish Nutrition Joint research units of the Hydrobiology Station at St Pee sur Nivelle, France and many of his PhD and other students have gone on to become respected scientists in this field. He has continuously supported the development of the EAS and has tirelessly supported aquaculture expansion through the FAO, UNDP, World Bank and other organisations. In 2015, he was made an Officer of the ‘Ordre du Mérite Agricole’ by the French government for his services to nutrition and to aquaculture. He has published more than 300 papers and given countless presentations, expert consultations, articles and interviews on the issues of replacement of fish meal and fish oil, fish in/fish out ratios, human nutrition. Now retired from INRA, he is currently leading a migratory life between his home in the French Basque country and the University of Las Palmas in Grand Canaria, where he is the European Research Area chair on ecosystem approaches to sustainable aquaculture development in the eco-aqua initiative. On calling Sachi to receive his award, Bjorn spoke of his pleasure and personal honour to make the presentation of Honorary Life Membership to him on behalf of the European Aquaculture Society. Judging from the appreciation showed by the audience, Sachi was a very popular awardee. The 2016 Impact Factor of our peer-reviewed scientific journal Aquaculture International was 1.095 in 2016, hence rising above 1 for the first time since 2012. We very much hope that you will continue to submit quality papers and reviews to the journal and especially arising from presentations made at our Aquaculture Europe events. EAS members have access to all recent papers published online, by logging in and then going to the menu item 'Members' and clicking on 'AQUI online' on the drop down sub-menu. We have update our abstracts for our Aquaculture Europe events! So please make sure that you follow our new abstract guidelines on quality and on format when you submit. Abstracts need to reflect the quality of the science, in terms of its rigour, its contribution to knowledge and its impact to end-users. EAS strongly supports good knowledge management. Please therefore clearly show the impact and implications of your research for the sector and how you will/have communicated the knowledge derived for the potential users of your results. We recognise that ongoing analysis and interpretation of results may hinder early submission, and it is therefore possible to amend/update your abstract before a second (final print) deadline (usually early July). Naturally, updates and amendments can only be made to abstracts that have been submitted before the initial deadline, so this is not an opportunity to make a late initial submission Please kindly pass on this message to your colleagues and contacts that would still like to submit. 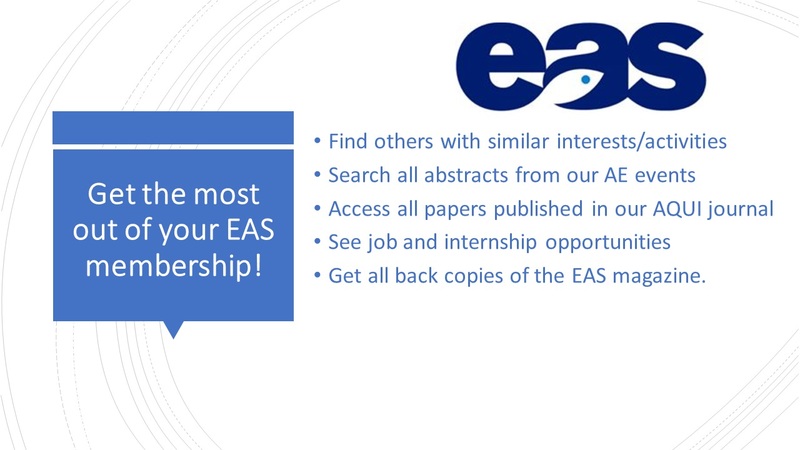 EAS offers reduced fees for Individual and Institutional membership. The reduced fee for Individual Membership is available for students, retired persons and for individuals residing in certian countries around Europe. Institutes based in those countries may benefit from the reduced rate for Institutional Membership The country list has now been expanded, following the update of the World Bank GNI listing, which is the basis for eligibility. So if you reside in those countries, then you can join us at reduced rates. Over the last four years IDREEM (Increasing Industrial Resource Efficiency in European Mariculture) has supported fish-farmers across Europe, in developing different systems to introduce Integrated Multi-trophic Aquaculture (IMTA) in their farming facilities. 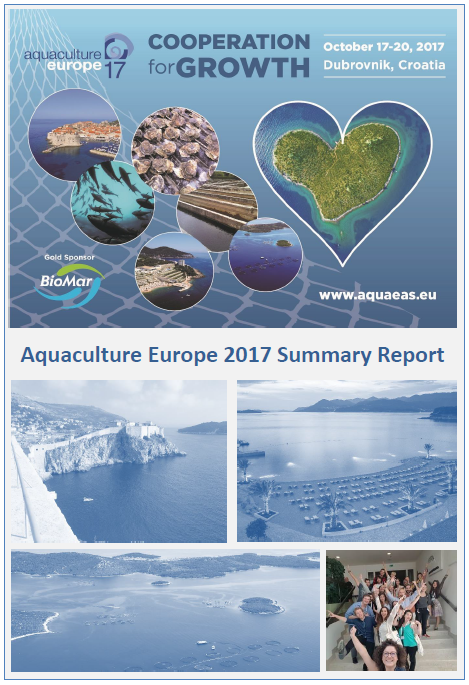 IMTA has the potential to deliver greater productivity and reduced environmental impact for the European aquaculture industry and this is the principal message of the FINAL REPORT of the project, that finished in September. 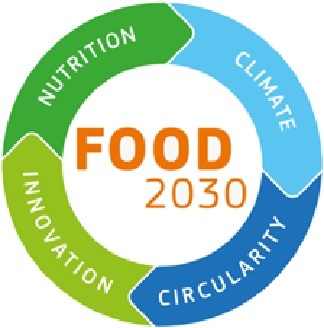 As part of the FOOD 2030 high-level conference held in Brussels in October, four parallel workshops were organised to provide ideas and needs towards building the future of EU research and innovation policy for Food and Nutrition Security. One of these - Aquatic food products and new marine value chains - was organised by the Marine Resources Unit of the Directorate General for Research and Innovation of the European Commission and looked at three thematic areas of aquaculture and fisheries: Underused fish biomass, new algae value chains for food and consumer acceptability of aquaculture products. Here are the presentations and report.